I ran my first 20 miler of my current training season on Saturday. All my previous 20 mile runs have been done on my usual Thames river route, however – from Tower Bridge to Putney Bridge and around, and while long, the route there is pretty flat. 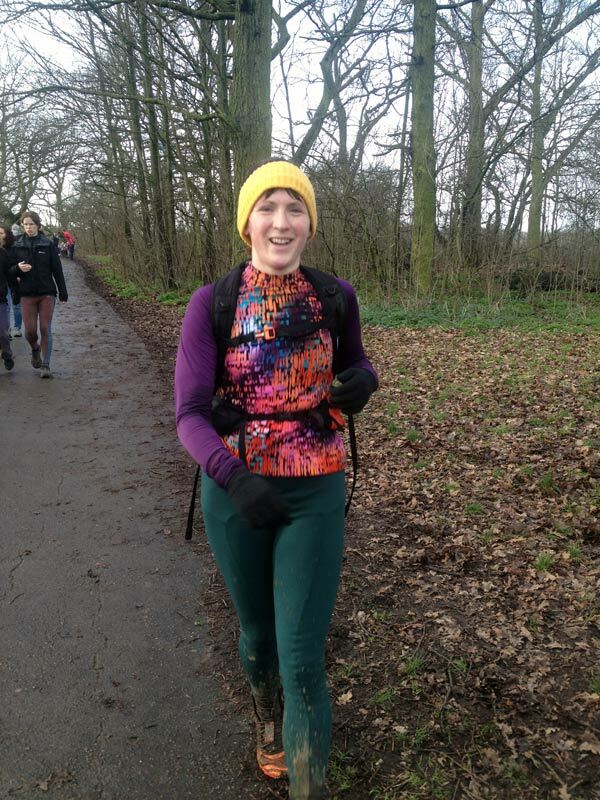 Saturday’s 20 miler, however, involved a bunch of hills, including three trips up Swains Lane, a several trail hills steep enough to have steps cut into them, and your usual, run of the mill inclined meadows. Oh, and there was ankle-deep mud for a good portion of the route, too! Needless to say, this was significantly tougher than my previous long-long runs, but luckily I had excellent company. Thanks very much to Richard Keller for the photos! 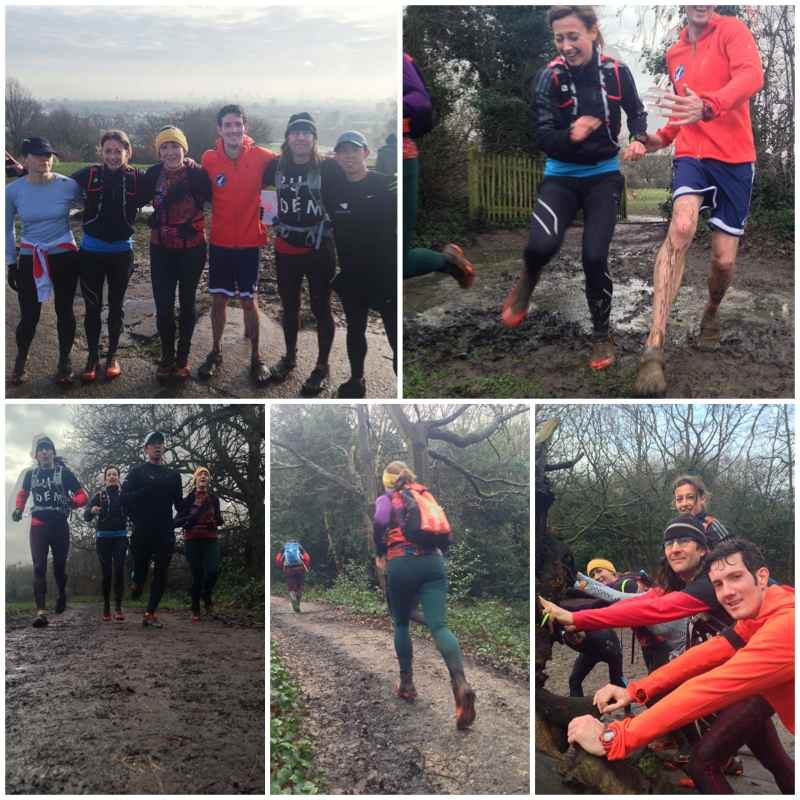 I totally love my Saturday trail runs around Hampstead Heath anyway, but running with a great group of people makes the time pass so much more quickly, and also it means there are others there when you start to get a bit low on blood sugar and can’t remember which way you’re supposed to head next! I knew I had a long session in my plan, so I got up to Hampstead Heath early enough to get one short loop in on my own, then once I met the others at the meeting point, I carried on with the faster group for one large loop around. Finally, only Cory and I were left needing to run further still, so he and I valiantly set off to do another large loop just the two of us. I’m so, so glad he was with me, because I probably would’ve just done the shorter loop on my own since I know it much better, but we were definitely able to prop each other up and take it slow. Plus there’s the added fun of cursing that long, steep stretch which now has a full stream running the length of the path that kills me every time! I’m mostly smiling because I survived! We then ran together back to the tube, where we refuelled, put on warmer, dry clothes, and generally caught every crazy look from other passengers staring at our muddy legs. Want to know what the hardest part of running 20 miles in muddy hills is though? That last, perfectly flat one kilometer home after I’ve been sat on the tube! No trail run for me this Saturday however – it’s the return of Flatline 10! Yes, that’s ten repeats up and down Swains Lane for a time trial, and most definitely the toughest 10 miles you’ve ever run. It’s organised by EnergyLabs but open to all – just meet at 10am at the top of Swains Lane (so go to Archway tube if you don’t want to do an extra uphill before it eve starts! ).